Nobody has to leave my site empty handed - why not take a souvenir with you? Here I've collected together free PDF book chapters, free ebooks and book samplers that you can download. You can read these PDFs on your computer, print them or read them using a PDF-compatible ebook reader. If you're an iPad user, you can read these free book chapters using the Kindle or iBooks apps. I've included a free bonus free gifts in here too. If you want to read further, you can find links to buy the full books from various shops here. My novel Earworm received fantastic reviews from Electronic Sound, Record Collector, Metal Hammer and Music Tech magazines. It explores what happens when the music industry and artificial intelligence collide, and tells the story of a band struggling for success as the industry collapses around it. Download the PDF sampler to read the first five chapters for free. There's also an author interview and more information at the book's mini-site. My University of Death bookmark pays tribute to one of the bands in the book and is compatible with all your books. Download it, print it off and cut it out. In my book Mission Python you learn how to build a game set on a space station, using the Python programming language. You can read the book and build the game as you go, or download my version of the code to customize with the book as your companion. As you work your way through the book, you'll learn about data structures and using Pygame Zero to display the game's images. Download a free PDF sample of Mission Python, including the Introduction (with game play instructions), and the first chapter. You can also download the Mission Python game files here. Visit the book's webpage for additional bonus content. Cool Scratch Projects in Easy Steps features projects for making mazes, musical instruments and more. It comes with 3D glasses and the book shows you how you can use them to code 3D effects with objects appearing to pop out of the screen. The free PDF from Cool Scratch Projects in Easy Steps presents the Introduction and the first chapter, which shows you how to build the Magic Mirror project. In that project, the cat's image distorts as it walks past a mirror, as if in a fun house. Download the Cool Scratch Projects in Easy Steps PDF sampler here. Find out more about the book and discover additional resources here. Get to grips with Scratch in the free PDF sample of Raspberry Pi For Dummies. It includes Chapter 10 in its entirety, which introduces you to Scratch programming on the Raspberry Pi. This free PDF sampler also includes the tables of contents, Introduction, first chapter (so you can get to know the Raspberry Pi), Chapter 9 which introduces Scratch, and the book's index. Find the free sample PDF from Raspberry Pi For Dummies here. You can get the demo files here. There's more information about the book, and some cool free templates for printing your own paper Pi cases, here. In this full colour 216-page book you can learn how to use the Scratch programming language, now widely used in schools, to create your own games and other programs. This free sample PDF includes Chapter 1 in full, the foreword by Mitchel Resnick, an introduction to the book which is exclusive to this website, and the table of contents and index to give you a flavour of what else the book covers. Read and download the free PDF sampler for Scratch Programming in Easy Steps here. You can also find the example files and more supporting resources here. The free PDF sample of Coder Academy includes the chapter on making music using Scratch, with projects to turn a pattern into a tune, and to design your own musical instrument. You can also download a sprite pack for use in Scratch, based on images used in the book design. 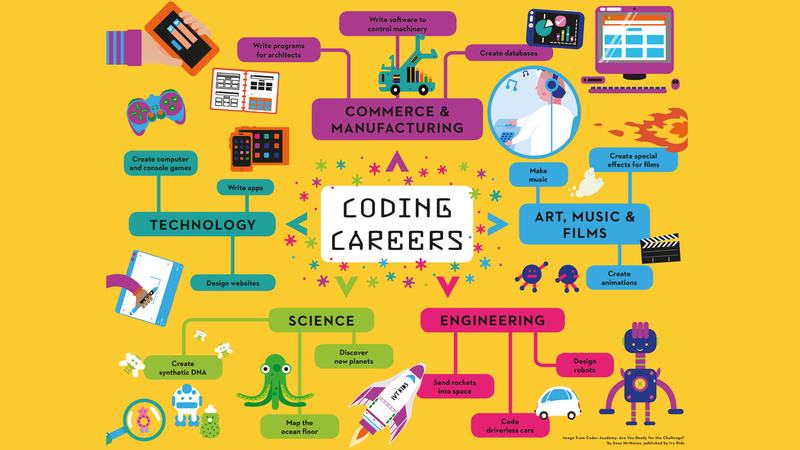 There is a wallpaper showcasing coding careers too, available in 1280x800, 1366x768 and 1920x1080 resolutions. 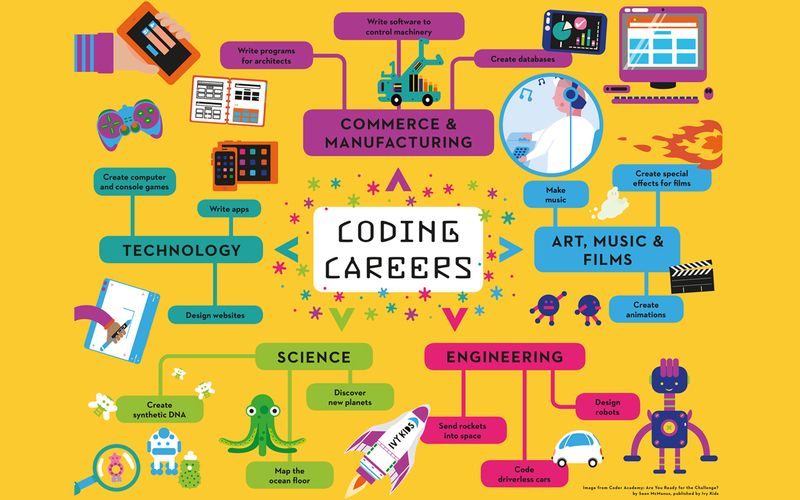 Find out more about Coder Academy and discover additional resources here. The Customer Service Pocketbook is widely used both for self-guided study and as part of the training programme offered in many of the UK's most customer-focused organisations. Now you can read a free sample PDF from the new edition, freshly updated in October 2013 to reflect changes in technology and customer service culture. The Interviewer's Pocketbook provides tools, tips and techniques to help you recruit the right talent into your organisation. It includes advice on questioning techniques (and questions to avoid), listening techniques, body language, preparing the interview, and conducting the interview. You can read the chapter about listening techniques for free online. Web Design in Easy Steps is a #1 web design book on Amazon.co.uk. Take a look inside with this free sampler, which includes Chapter 4 in full, together with the table of contents and index so you can really get to know the book. In this free sample, you'll learn about some of the key principles that underpin good layout and website design. Note that the book has been updated to the 6th edition, and this sample is taken from the 5th edition. Find out more about the book here! Microsoft Office for the Older and Wiser will show you how to get the most from Microsoft Office with practical projects including making posters and newsletters, printing off labels for your Christmas cards, managing your address book and budgets in Excel, and making a photo slideshow in PowerPoint. The free sampler includes the Introduction to the book, and Chapter 2 which shows you how to make a poster using Word. Download the free PDF sampler for Microsoft Office for the Older and Wiser here. Small Business Websites That Work was my first book for a conventional publisher. It shows small business owners how they could build a website that would help grow their business, including advice on online business strategy, resourcing and promotion. The book is quite a few years old now, so some of the companies and technologies mentioned in it will have changed, but when I looked at it recently I was surprised how much the central ideas still stand up. The sample chapter is about planning your website and creating the content, and includes ideas for making your website effective and creating compelling content. Small Business Websites That Work is now out of print and the rights have reverted to me. Contact me if you're interested in licensing. Download the free PDF sampler for Small Business Websites That Work here. Three Points West is an ebook anthology of new writers that I designed and laid out in 2012. The book includes a mixture of poetry and short fiction, with topics ranging from family drama to fantasy, and from horror to comedy. There's something for everyone in this collection. It's available to download in its entirety for free as a PDF. Download Three Points West here. For more information and full credits, visit the anthology's page here. The first book I wrote was a guide to programming the Amstrad CPC computer. When I set up this website in 1998, it was one of the first things I put online. It's still online today, so if you're still coding for the machine, or you fancy a nostalgic read about what programming used to be like, check out The Basic Idea online here. You can also download My Amstrad CPC games and utilities (dsk file). To help you get started with these games, I've compiled a page of Amstrad CPC emulator instructions.